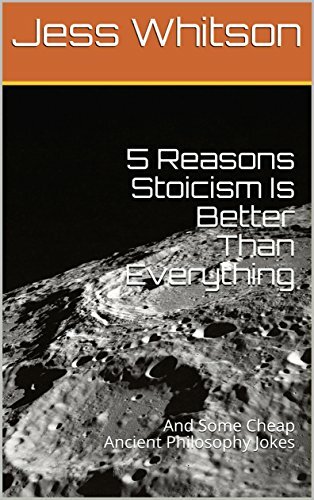 Why did the Stoic business succeed but the Epicurean business fail? The Stoic business had Logos! Why is it so hard for Epicureans to be Stoics? They lack the determinism required! Diogenes the Cynic: there is only this barrel. It’s a really nice urn, it keeps me sheltered at night. It’s made of the finest ceramic. Plato: There is the Divine Good (or the One), which is the greatest of the Forms. There is also the Demiurge which fashioned the imperfect material universe. Aristotle: There is the Unmoved Mover, a completely Formal being that is completely actualized that all objects in the universe try to become and actualize towards. Epicureans: The Gods exist and are made up of atoms. Everything is made up of atoms and the void. Stoics: There is a completely material universe with a fiery reasoning substance called Logos that pervades all of it. In short, you can call the Universe God. Cynics: did someone mention DOG? I like dogs. They’re very important beings to emulate.